Spooky, or what? But on the flight down to London from Edinburgh, there I was sitting reading the latest issue of "Black Static" (only the greatest horror magazine in the world), and in particular Peter Tennant's "Case Notes" which had a feature on Bram Stoker's novel "Dracula" and several books that it has spawned recently, when a woman sits down beside me and she's reading Kim Newman's "Anno Dracula", arguably the best of the featured bunch, although Reggie Oliver's "The Dracula Papers" (which is in the reading pile) and Karen Essex's "Dracula in Love", sound like pretty good reads too. A quick stop at Forbidden Planet at the mammoth Gollancz signing event lets me pick up the revised, and updated "Anno Dracula" (which isn't a Gollancz book, but FP still had signed copies available from Kim's recent signing) and given the extras - alternate endings, articles, screenplay draft, etc, it is a book that's even more essential than it was before. 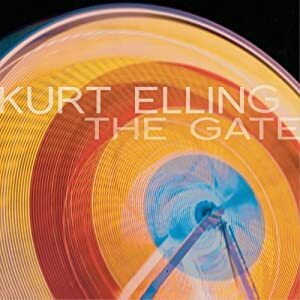 Kurt Elling's "The Gate" which starts with a cover version of King Crimson's "Matte Kudasi" and has a few other surprises on the way.